Reo Radio Group’s Christian Talk “The Word” 99.3 KLGO Thorndale/98.5 K253AN Austin is moving its programming to sister 1490 KFON. The AM had been running Spanish Christian programming as “La Palabra“. Prior to moving to FM in 2006, KLGO’s programming had been on 970 KIXL Austin. 99.3 KLGO is a rimshot to Austin operating with 6kW at 328 foot from the northeast of the market. 98.5 K253AN fills in coverage in Austin proper with 50 watts at 573 feet with a Construction Permit to upgrade to 115 watts. 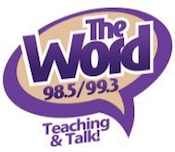 No word (pun intended) on what will replace “The Word” on 99.3 and 98.5 yet.